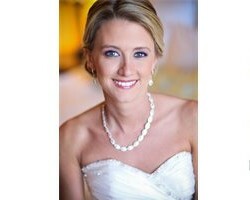 The Orlando makeup artists at Luma Bridal have years of experience offering specifically bridal services. They know exactly how to make a bride feel at ease on the big day by providing friendly assistance that always results in the most flawless looks. Each professional at this team knows that you will be the focus of everyone’s attention, which is why they do their best to not only create a perfect look but one that exactly suits you and the occasion. Tania Fernandez is a wedding makeup artist in Florida that has experience styling models for print, TV personalities and brides. The passion for this artist however comes when she is asked to be part of a bride’s big day. This is one of the most special occasions in your life and you should settle for nothing less than looking flawless. This kind of philosophy is what drives this artist to offer the most detailed custom makeup services for weddings, including a trial run for the look too. The reviews of Jess Waldrop are nothing but raving about the makeup services that are offered. Jess has always had a passion and a talent for makeup artistry, which she offers to brides at affordable rates. You can work with this professional to come up with a unique look that suits your personality and the occasion. You can ask for lighter makeup that makes your natural beauty shine or make a specific request to look glamorous or even avant-garde on your big day. Rather than search for a makeup artist in Orlando, FL and then a separate hair team, you can work with Beautiful You can have it all. This company offers flawless airbrush makeup application that feels like permanent makeup when you see that it is sweat and smudge proof. They also offer traditional makeup application too along with complete hair services. For relatively low prices you can have your entire wedding look, from head to toe, completed beautifully by the experts at Beautiful You. 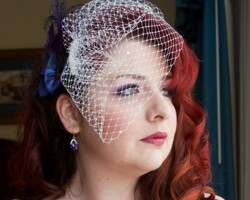 Debra’s Do’s offers expert wedding hair and makeup all in one amazing service. One of the best aspects of using this service in particular is that the artist does not just attend the big day. Debbie takes the time to get to know your personal style, your everyday look and the event that you are having before working with you in a trial run to determine which look is the best for your wedding day. Working with Debbie means having bridal makeup and hair that is always true to you.